Emma de Sousa performs only breast surgery and her experience covers all aspects of the speciality. She is passionate about creating the very best outcome for every patient, combining both the science and the art of her speciality. The skillset that she has acquired enables her to address the different needs of both her newly diagnosed breast cancer patients and her cosmetic surgery patients with the same attention to detail. Although they have different requirements, there is a wide crossover of techniques used for these two groups of patients and all benefit. Emma has an honest and open approach, prioritising patients’ holistic requirements and building realistic expectations. 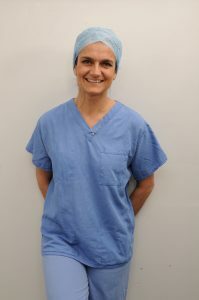 Emma is an NHS Consultant Oncoplastic Breast Surgeon at the Royal Liverpool University Hospital. Based in the Linda McCartney Centre of this busy NHS teaching hospital, the Liverpool Breast Unit provides a symptomatic, screening, cosmetic, risk-reducing and reconstructive service. It is nationally recognised as exceptional. She is also an honorary senior lecturer in Clinical sciences at the University of Liverpool. Her private practice is based at the BMI Alexandra Hospital, Manchester and Spire Liverpool Hospital, where she offers all the same services. The training of the next generation of surgeons is an integral part of Emma’s practice. Working in a teaching hospital, students and junior colleagues join her in most outpatient clinics and theatre. 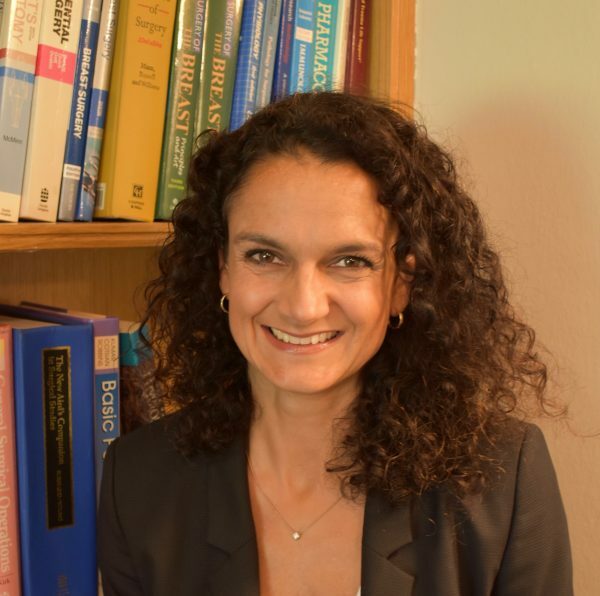 In addition, she teaches on regional and national breast surgery courses and is a course convener for the Royal College of Surgeons Specialist Skills in Breast Cancer Course. She maintains an interest in training as a member of the selection panel for the TIG fellowships and is Educational Lead for breast surgery for Liverpool Medical School. Emma has grown up in Liverpool and Manchester and the North West is her home. She lives in South Manchester with her young family and enjoys running, cycling, skiing and has recently discovered the joys of bootcamp. She plays her clarinet to herself when her family are out of earshot. She will never say “no” to a glass of champagne or slice of chocolate cake!